The one and only king of cums. 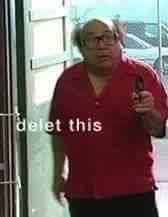 "Frank Reynolds Joins A Forum"
(03-30-2017, 02:40 AM)Relaps Wrote: I'm in a relationship, met on tinder, just officially passed 1 year. She's Asian and has a stepfather who doesn't like me. I've never had that experience before of not having a parent like me. Her real dad does like me tho. (11-16-2016, 02:28 AM)shagg Wrote: are you a meme?